Last week I was able to attend a very exciting advanced conservation training course to learn assisted reproductive technologies (ART) in amphibians. 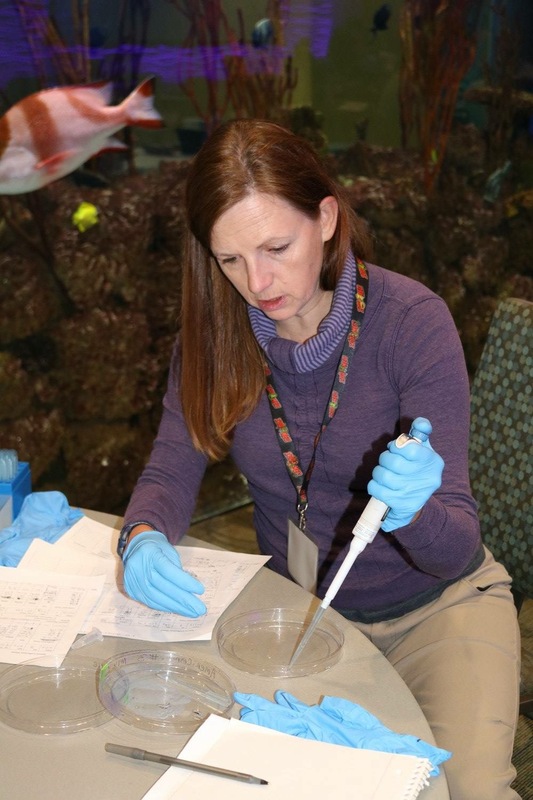 The meeting was hosted by the Omaha Zoo, and was offered by the Amphibian Taxon Advisory Group (ATAG). I was one of a small group of zoo and conservation scientists invited to learn cutting-edge technologies that have the potential to have a tremendous impact on the conservation of endangered amphibians. At the Detroit Zoo, we’ve been using hormone treatments to help with reproduction in Wyoming toads and Puerto Rican crested toads for more than 10 years. Recently, Dr. Andy Kouba from Mississippi State University has been able to modify these treatments for use in other species, and to develop techniques for collecting eggs and sperm for in-vitro fertilization (IVF). Two years ago, I traveled to his laboratory to learn these techniques for dusky gopher frogs, and within a few months we became the third zoo to reproduce amphibians via IVF. The goal of the ART course was to provide in-depth information concerning reproduction in frogs, toads and salamanders. 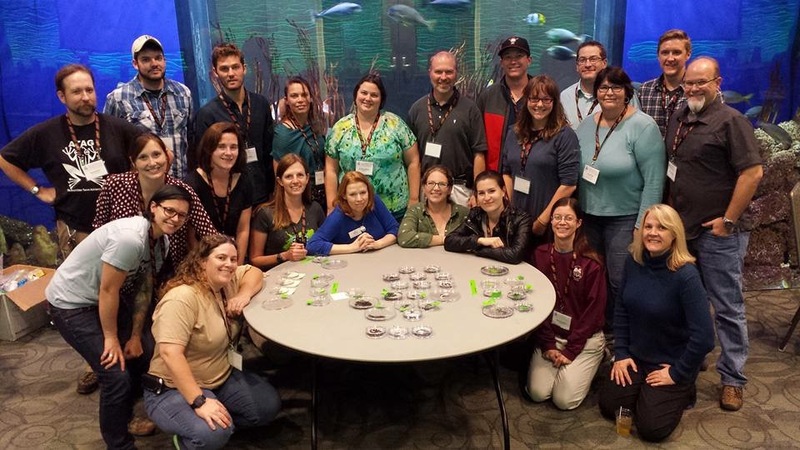 This course was taught by Dr. Kouba and two of his colleagues, and represented the first time that husbandry staff, veterinarians and conservation researchers have come together to discuss assisted reproductive technologies. The attendees brought together a wealth of knowledge, and experiences working with hellbender salamanders, Chinese giant salamanders, Oregon-spotted frogs and others. We talked about the impacts of hibernation, temperature, humidity and social cues on reproduction, and the challenges we have encountered in the past. We learned about the historic use of hormones in amphibians, and how this information can be adapted to new species. We also learned how to gently collect spermic urine from male amphibians, and to stimulate females to lay eggs. 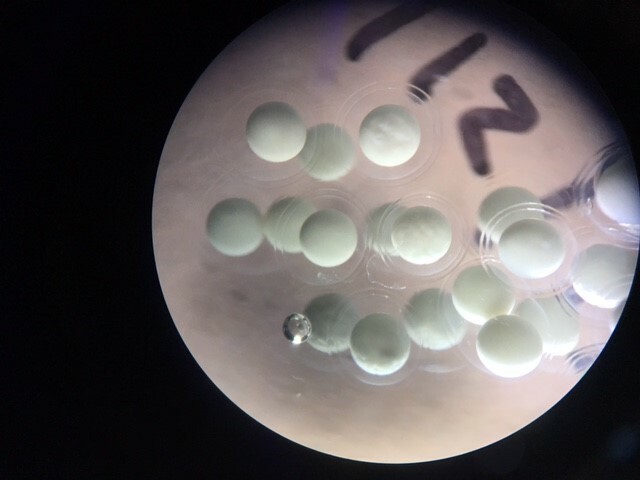 We learned how to examine developing tadpoles under a microscope, and cyroperservation techniques for sperm. We also learned how to use ultrasound to monitor egg development in females. During the week, we put these skills to practice, and were able to produce fertilized eggs from Puerto Rican crested toads, American toads, tiger salamanders and Asian black spiny toads (for the first time!). At the Detroit Zoo, we have number of very endangered species of amphibians, including some that have never or only rarely reproduced outside of the wild. Over the next few months, we will be able to start using cryopreservation to save genetics from these critically endangered species. The skills learned at the ART course will allow us to continue to be leaders in amphibian conservation, and to hopefully successfully breed Japanese giant salamanders, giant waxy tree frogs, and other endangered species at the National Amphibian Conservation Center.